Multiple migrant birds in my backyard provided enough motivation for me to put work on hold and head east for some birding in stormy weather (not like I need an excuse to go birding). Jones Beach was my first stop and despite the lack of land birds due to the rain (ponchos rule! 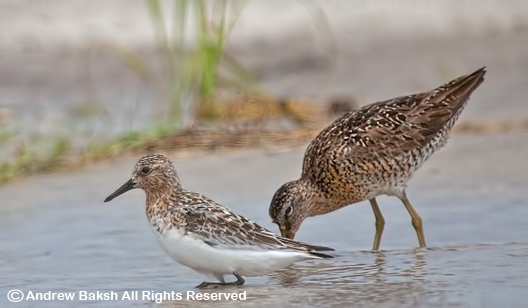 ), the shorebirds on the spit at the Coast Guard Station were impressive. I searched for over an hour through the flocks, but could not find anything out of the norm. Hoping for some gull flocks, I began to work the parking lots at Jones Beach. First starting with West End II, which was a bust. 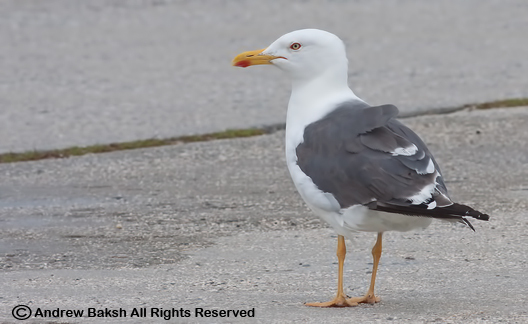 Then, I headed out to field 6 where I picked up my first of 4 Lesser Black-backed Gull (Larus fuscus) of the day. Yet again the Chat Gods smiled on me, this was my 4th Chat of the year. Yes, there is a Chat in this photo, you just have to look hard. Not happy with that look? Then check out this photo taken in my back yard. I swear it is not a "Cowbird". 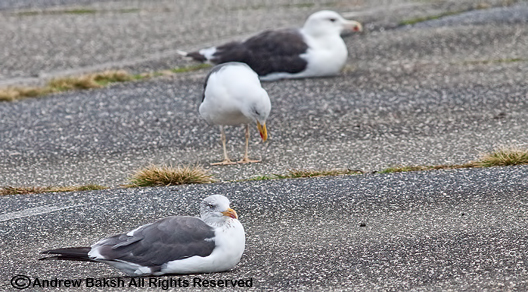 At Tobay Beach, I found an additional 3 Lesser Black-backed Gulls in the parking lot all adults (this photo shows 2 out of the 3 with a Great Black-backed Gull in the background). Later on at Robert Moses, I found a Clay-colored Sparrow near the Volley Ball courts, which give me a nice look, but did not stay up long enough for a photograph. It was not a bird filled day, but still an enjoyable one trying to find birds in the storm. Here are some images from my recent trip to San Diego California. 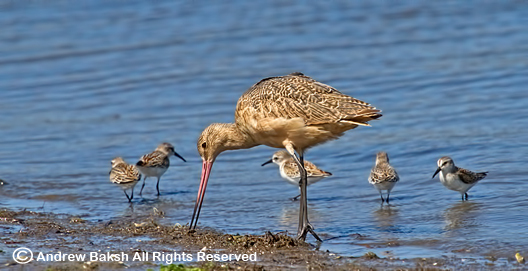 These images are some of the birds seen on Day 1, which was spent in the north near areas such as Mission Bay Channel, Quivira Way, Quivira Basin, Famosa Slough and Robb Field . 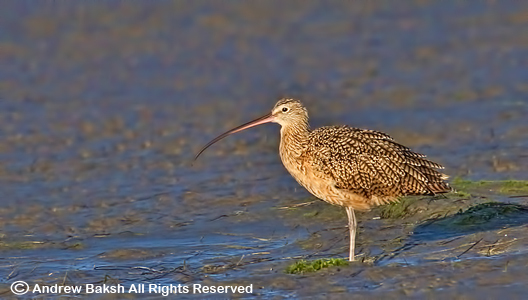 I was especially pleased to finally see a Long-billed Curlew, a bird that I had not seen until this trip, so it was a LIFE BIRD! San Diego, was fantastic and I see myself returning in the near future to do more land birding, as the few days I had were all too short for the amount of birding I did. My friend Heydi Lopes who came with me on the trip agreed that although we birded non stop immediately after arriving, we felt we could have done somethings better with regards to how we approached the land birding. But you learn and some birds should be for another time. Lots more images to come including many from multiple days at sea. Elegant Terns on Quivira Way - an area that reminded me of Cupsogue LI. 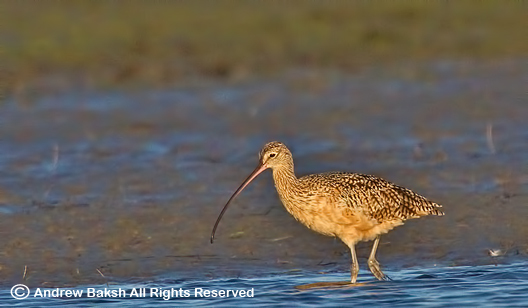 Long-billed Curlew - on the flats at Robb Field. 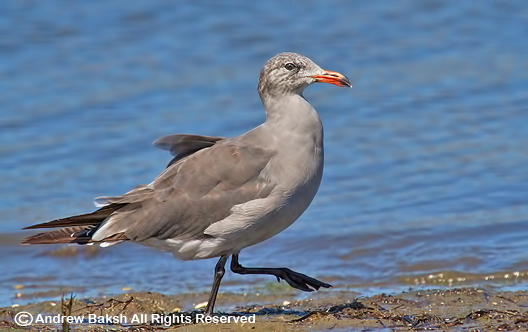 Heermann's Gull at the beach near Mission Bay Channel. 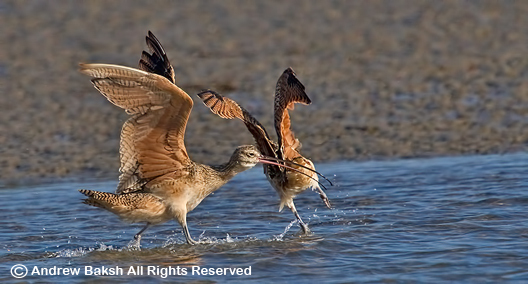 Marbled Godwit and Western Sandpipers - loved seeing them at Mission Bay. On Saturday, I was back in the Bronx to lead my Saturday morning walk at Van Cortlandt Park. As my usual MO, I got to the location early and did some scouting; sadly, I was very disappointed that the enclosed field across from the nature center was now fully accessible. The fence was all gone, which was a bummer because the fence used to be a reliable area to look for Sparrows and other passerines. After doing a quick check of the south end of the lake, I headed to our meeting spot near the ranger station and connected with the group. After some administrative tasks, I set us out onto the field where we looked for Sparrows. As luck would have it, I heard then spotted a Savannah Sparrow, flying across the field and tracked it to its landing spot. The entire group was able to get good looks and study the bird. 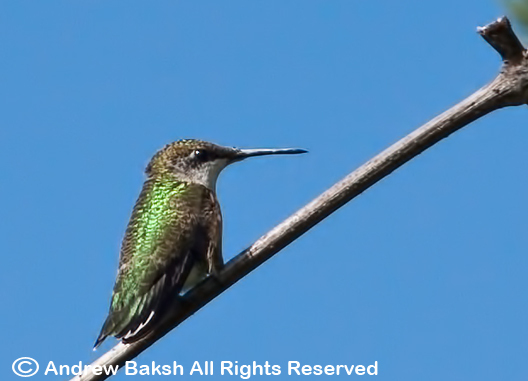 For some, it was a lifer! From the field, we headed towards the lake and at the bridge near the golf course, we picked up a couple of good birds including a Solitary Sandpiper and Wood Ducks. Later on as we worked the lake, we added a Great Blue Heron and Green Heron. 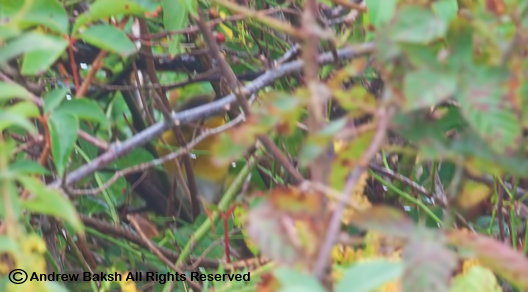 As we worked our way around the John Kieran trail, we added Philadelphia Vireo, Rose-breasted Grosbeak and a few other passerines. The Philadelphia Vireo was a treat and a first for our walk, although it was disappointing not to get everyone in the group on the bird. 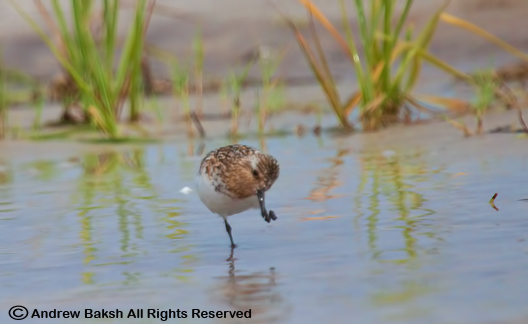 The answer to shorebird Quiz # 3 is - Sanderling! Congratulations to Lisa Scheppke who guessed the ID correctly. 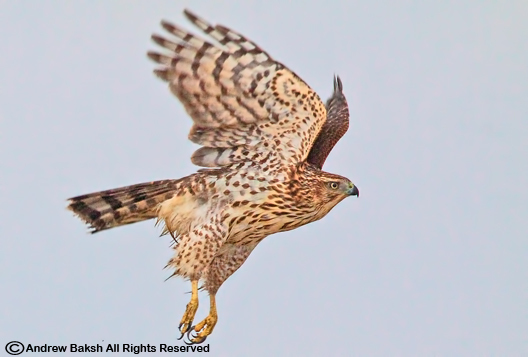 Not a difficult one, if you really study the plumage, leg color and habitat. Here is a photo that shows the bird from a different angle. Okay here we go folks. Not a stinker like Quiz # 2, so this one should not be too difficult? Or is it?? Take a crack and don't be shy to post your answers via comments instead of e-mailing them to me. Good luck!